Long before refrigeration, humans used fermentation to keep foods from going bad. Fermented foods like wine, cheese, pickles, and sourdough, sauerkraut, not only kept well, but the same bacteria that caused fermentation in the first place also helped the body to assimilate and use them. Over the course of the last century however, fermented foods disappeared off the shelves making room for more pasteurized and processed foods, resulting in a dead-on-arrival food supply, stripped of the live bacteria the body needs to stay in balance. Traditional Kefir is a fermented drink. Though the term “fermented” rather sounds distasteful, the results of this ancient preparation — produced through the breakdown of carbohydrates and proteins by good bacteria and yeasts — are actually wonderful and delightful. Even more so, they are remarkably beneficial to your overall health. 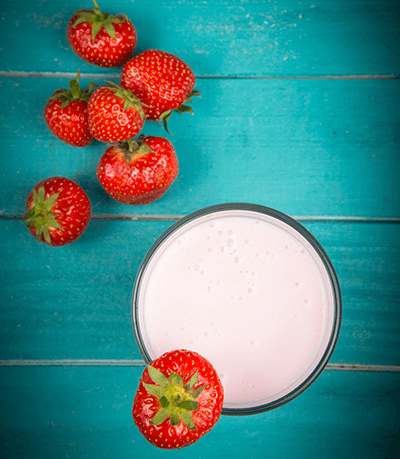 During fermentation of traditional kefir, a bacteria called L.Kefiranoficiens produces kefiran, a complex polysaccharide that – along with the probiotic culture – is believed to be the primary source of kefir’s remarkable health benefits. Kefiran polysaccharide is now being studied extensively for its health benefits. In order to be fully vegan, kefiran polysaccharide is produced through a simple fermentation process of Non-GMO rice. Two KEFIRAN capsules provide 20mg of kefiran polysaccharide –the same amount found in a quart of traditional kefir drink – PLUS 50 billion active probiotic cultures to support healthy digestion, intestinal health and overall well-being*. If you find the taste of these fermented food unpleasant, can’t take dairy or are looking for a substitute, add KEFIRAN to your daily diet and enjoy the benefits of the traditional fermented food for healthy digestion, intestinal health and overall well-being*.